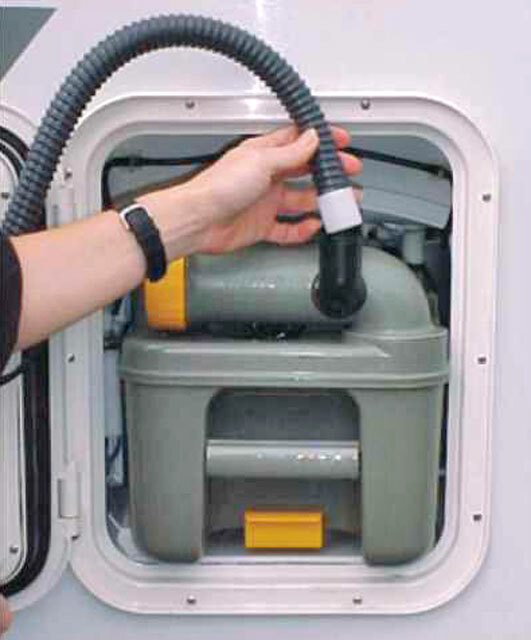 The SOG toilet ventilation kit converts your Thetford toilet into a chemical-free system which is not only a completely green solution but also banishes smells from the interior of your unit. No chemical smells and no smells from waste matter, even during use of the toilet. 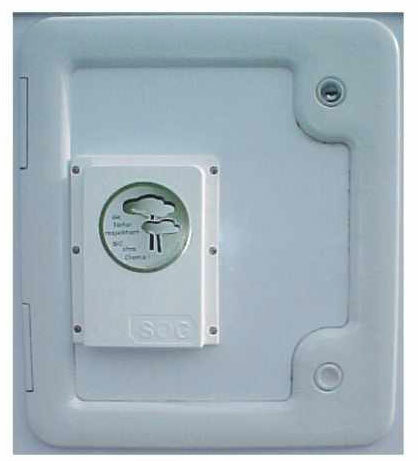 The high quality system from the German company SOG is available in a variety of kits which are purpose-made to fit different Thetford installations. All the kits cost the same (although the SOG II through-the-floor versions do cost more) - you only have to select the right kit for your toilet. It's easy to choose the right kit for your toilet - see the link below to go to our detailed information and selection table for kit types which explains briefly how the connections for each type differ. If you already know the type you need, you can browse for it in campervanstuff's range of SOG products: Other SOG kits and accessories in the campervanstuff.com shop. .... and insert the stopper. Everything else is as normal. Air is drawn from the toilet by the ventilation fan to the outside via an outlet vent which contains a charcoal filter to remove smells. 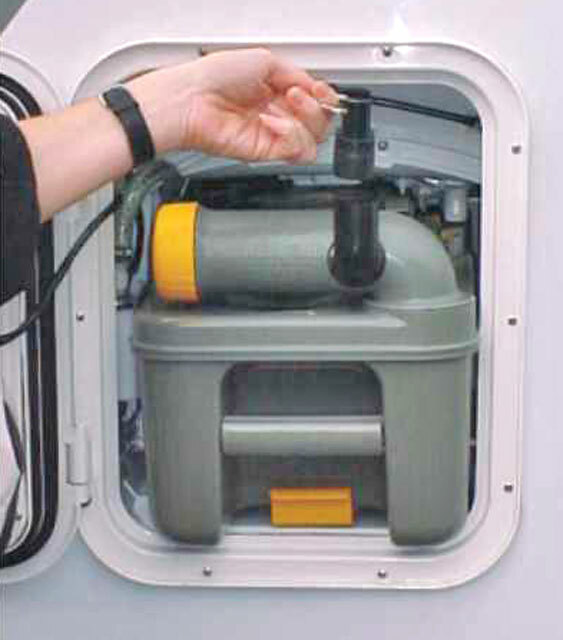 The vent is mounted on the cassette door.